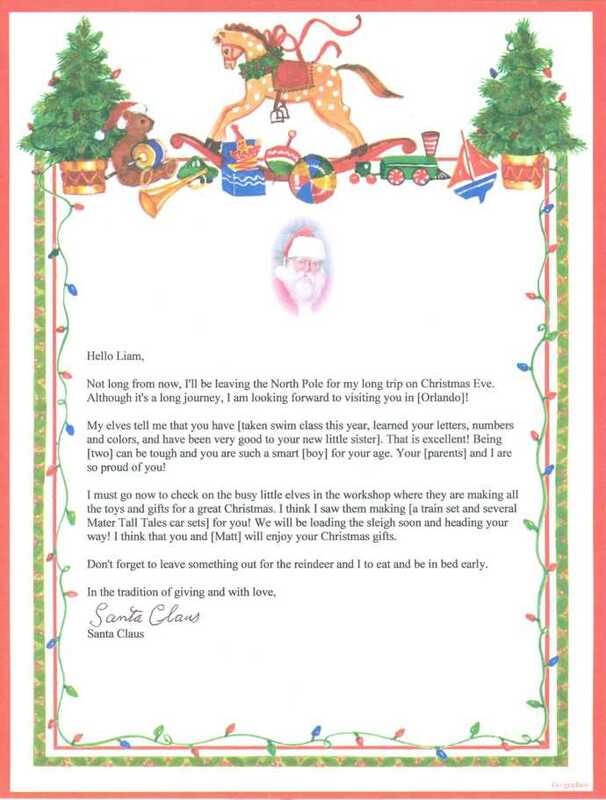 Imagine the excitement on your child's face upon receiving a personalized Santa Letter sent from the North Pole! With your help I can personalize specific details for your child including: your child's name, gender, age, hometown, accomplishment(s), desired present, and best friend's name. In addition, I can add a paragraph written by you. You also have the option to be mentioned in the letter. 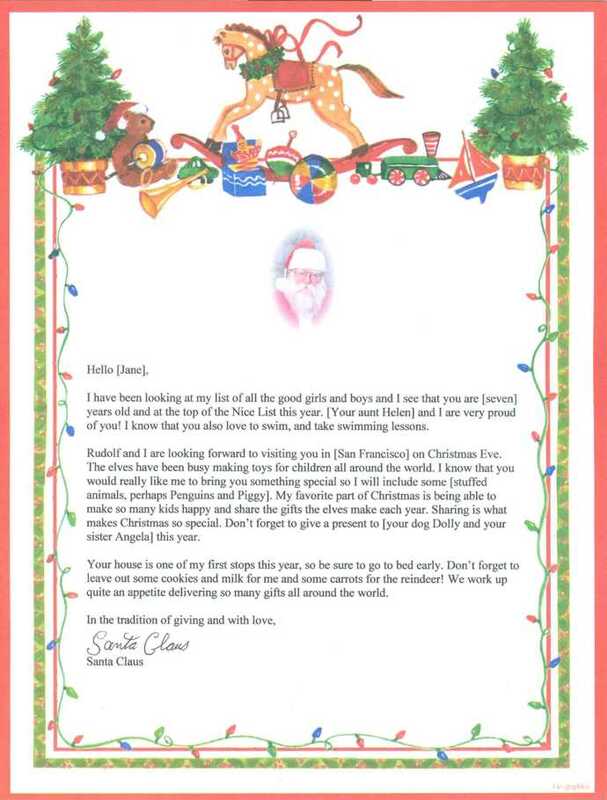 I have several Santa Letters to choose from so you can find the right one for your child. 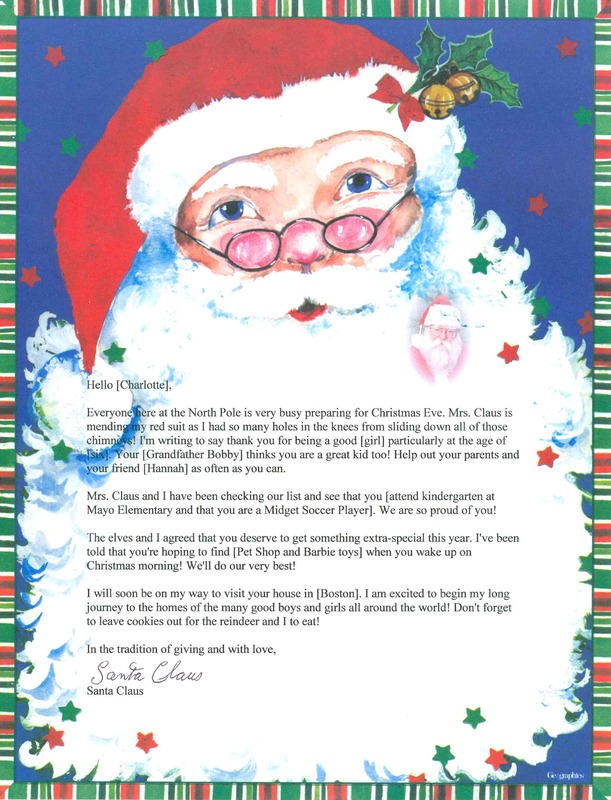 If you want Santa to write to more than one child in a household or family, pick different letters for each child. I also have several stationaries that can be used with the letters as seen in the examples below. Either you can choose the letter and stationary or you can let me pick either or both. Each letter will be unique to each recipient. 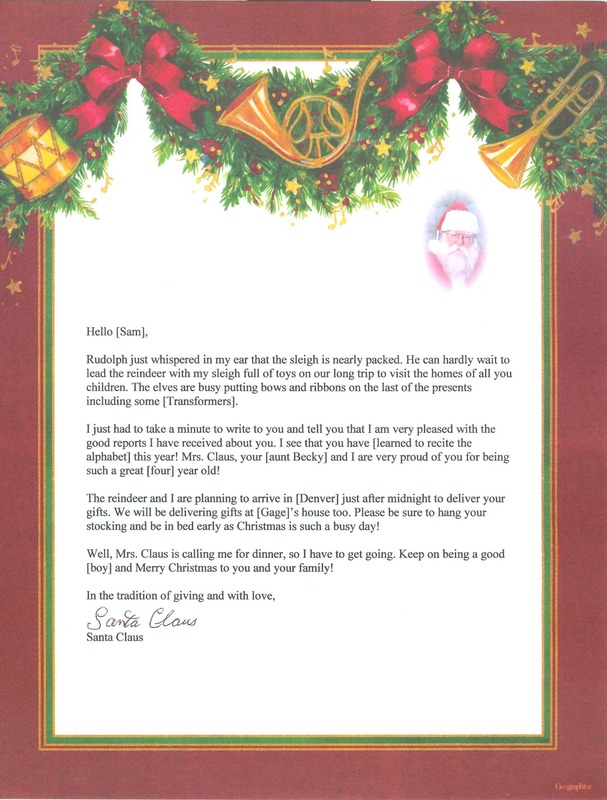 If you want the stationary to be the same for each recipient, please specify the stationery. 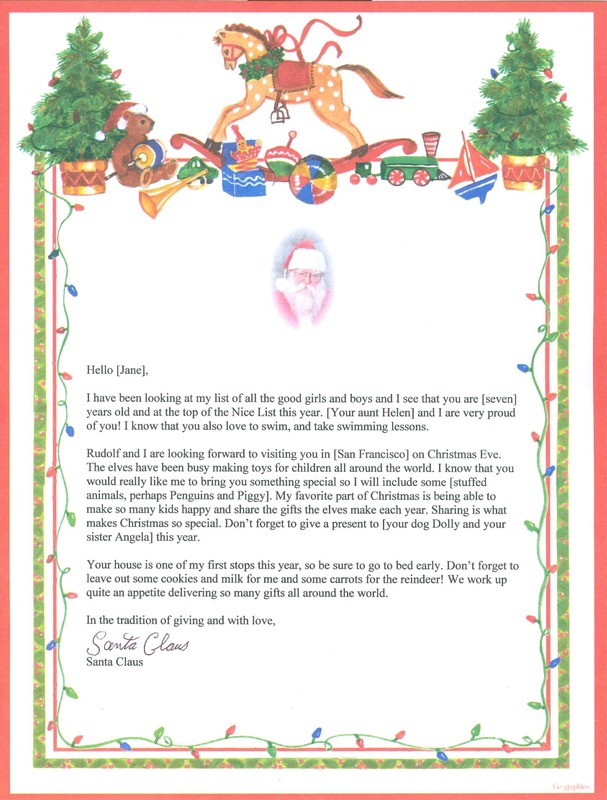 My letters can be ordered by parents, grandparents, relatives and friends and can be mailed to children, young adults, and adults. I have sent letters all over the world, some as far as Australia. 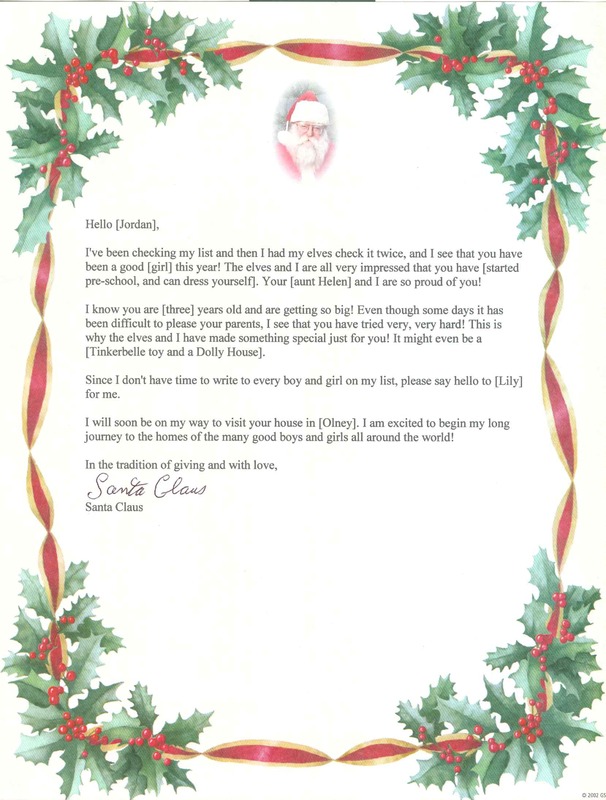 The following letters are examples of a tailored Santa letter. The informaiton in brackets  is the personalized information that you can provide. 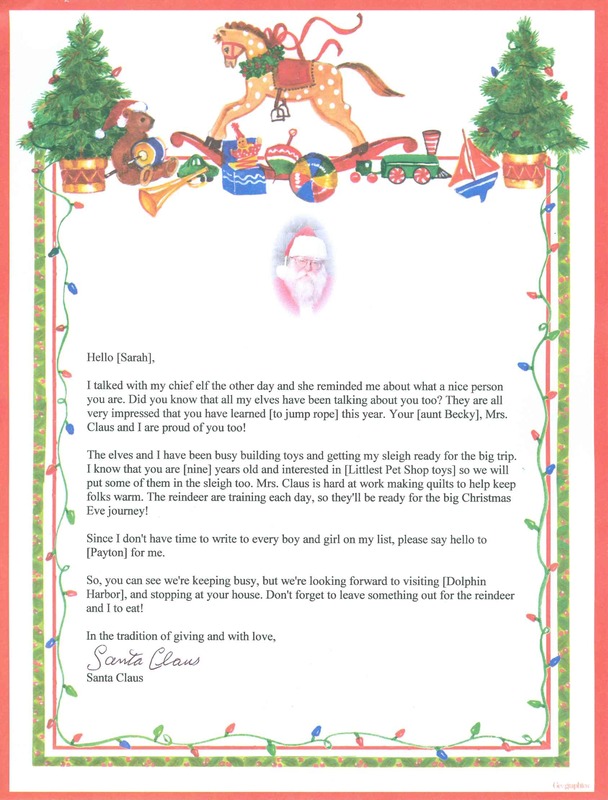 Click on a letter to see it in full resolution and use the back button to return to this page. The items that have bold heading are required for me to send a letter. You can fill out as little or as much of the oprional items as you wish. To request multiple letters fill out the information and press the "Send to Santa"